So, I’m currently watching this drama. 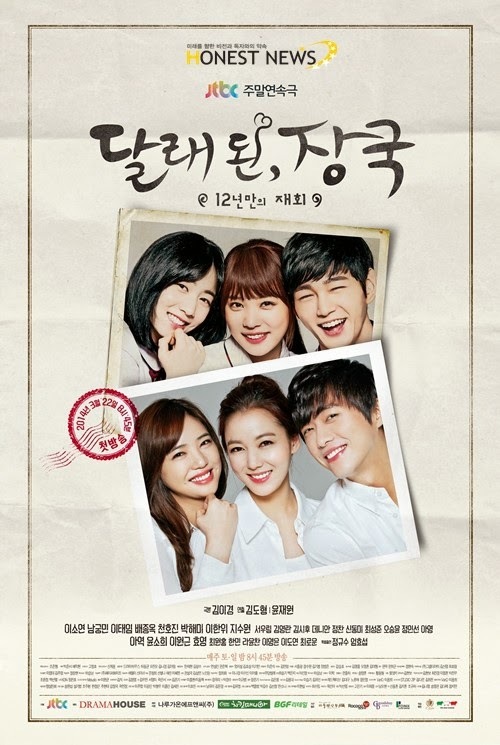 A long drama which usually called a makjang is not my type at all. When I can’t even finish watching a 20 episodes drama, how dare I watch a 50 episodes drama. That’s what I thought. But this drama has more interesting story than makjang usually has. That’s what I think when first reading the drama synopsis. From there, I decided to give Wild Chives and Soybean Soup: 12 Years Reunion a try. The main plot of this series is basically about a triangle love story between three high school students, Yoo Joon Soo (Lee Won Geun), Jang Gook (Yoon So Hee), and Joo Dae Hae (Ryo Hyo Young) sets in 2002, when World Cup invade South Korea . Joon Soo and Dae Hae is a school couple since they’re in kindergarten, though both of them never really express how they’re feeling about each other and clarify their relationship. Jang Gook is a transfer student from Busan, who moved to Seoul because her mom can’t live there anymore after her husband died. Jang Gook’s unique personality and accent attracts Joon Soo until one day on a match between Spain and South Korea, they accidentally slept together. They never truly reveal their feeling after that night. But slowly, Jang Gook tries to open her heart for Joon Soo, like what he did to her. (From what i know from the DramaWiki) Jang Gook got pregnant. 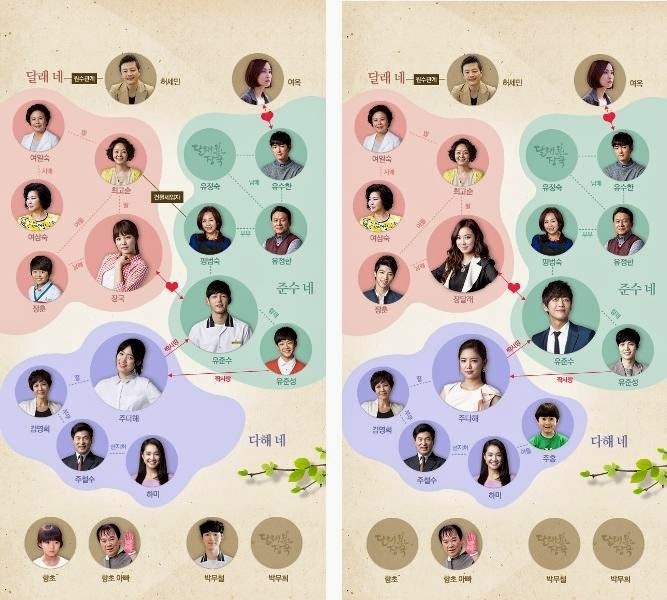 But because of family matters, Jang Gook and Joon Soo separate. 12 years later they met again on an airport when Jang Gook which changes her name to Jang Dal Rae just got back from America after being a successful woman. Unlike any 20-episode drama, this series has few sub plots. One of them is about the affair relationship between Joo Dae Hae’s father Joo Cheol Soo (Lee Han Wi) and his secretary in Vietnam, Ha Mi (Nha Phuong). This one is a typical makjang story if you talk about it in Indonesia. The other one is about Joon Soo’s uncle, Yoo Soo Han (Danny Ahn), which basically an unemployment who tries to make himself better by visiting and working at suburb. Last but not list is about how Jang Gook’s mother, Choi Go Soon (Bae Jong Ok), almost tricked by a deceiver, Heo Se Min (Jung Chan) who tries lure her to invest the savings into his fictitious company. I’m not going to spell out the entire cast one by one. I just sorted the one who caught my attention only, which definitely the main cast a.k.a the personnel of love triangle story. 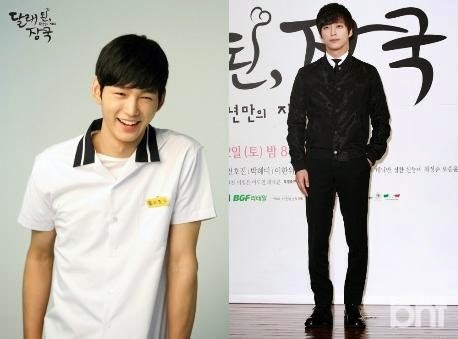 At first I thought Lee Won Geun is part of the idol group because of his perfect posture and face. This is the first time I see his acting. Sadly, his acting is not as perfect as his looks. I find he’s a bit rigid sometimes. He still awkward around women and he’s not as loose as how he should do. His gestures also seem too arranged and not loose. I just hope for the rest of the episodes he would show a better act, because his face and posture would be a waste if he can’t act well. He would turn into a handsome Nam Gung Min later. I thought Park Shi Hoo would be a better role, since his face with Lee Won Geun is a bit similar. This is also my first time watching Yoon So Hee acting. She did a better job than Won Geun, I think. She just needs to explore her crying scenes more. Her cries are not believable enough. Though on playing a boyish image is pretty good. She will turn into Lee So Yeon with the name of Jang Dal Rae letter. Ryu Hyo Young is my favorite one of the three. Not her character, but her acting. She’s standing on a first place if I have to compare her acting to the two above. She completes her pretty face with believable acts. She did a good job on portraying a jealous and smart girl. Not to mention her spoiled act as the one and only daughter. She will turn into Lee Tae Im later. So far it’s ok for me. Youth love never bored my eyes and mind. Though sometimes the involvement of the family and rich vs poor relationship is a bit common and predictable. How Jang Gook got pregnant is maybe a twist the writer would like to give to viewers. I keep on waiting on Joon Soo and Jang Gook relationship, rather than watching the Sub-Plots which i find boring. So the probability if I would continue to watch this series or not could be 70%. But it will stay at that number if only they give me more portion of Jang Gook – Joon Soo’s relationship.